Now this is what we're talking about! Much imitated but never duplicated. A true classic of the action genre. Pvt. Joe Armstrong (Dudikoff) is a troubled loner sent to an American army base in the Philippines. He doesn't say much, and he really doesn't want to play hackysack with his fellow officers. On a routine truck convoy, baddies kill some of Armstrong's fellow officers, and Armstrong escapes with Col. Hickock's spoiled daughter Patricia (Aronson). While Patricia falls for Joe, the remaining officers on the base blame him for the tragedy. At first, they disparagingly call him "karate boy", but he eventually wins their respect and the friendship of Cpl. Curtis Jackson (James) due to his excellent fighting skills. He has been training since he was a boy, but has amnesia and doesn't remember a lot of his past. As it turns out, an evil gun runner, Ortega (Don Stewart) is in cahoots with some of the army brass (including the Fred "time to make the donuts" guy lookalike John LaMotta as Sgt. Rinaldo), and there is only one obstacle to his newest million-dollar deal: Armstrong! 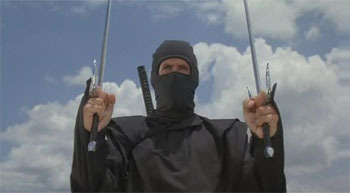 Fortunately for Ortega, he has a large Ninja training camp on his vast estate. So he sends his army of Ninjas after Armstrong, Jackson and Patricia. When Patricia is kidnapped, Joe goes into full ninja mode and it becomes ninja vs. ninja in a fight to the finish. Will they be victorious over the nefarious ninja army? It's no wonder Cannon and director Firstenberg put Dudikoff and James back together shortly after this in Avenging Force (1986). They work very well together, especially here, with the gregarious, charismatic Jackson and the mysterious, belligerent Joe. The climax puts the Rambo-like machine-gun shooting of James with the smooth Ninja-ing of Dudikoff with his never-ending supply of clever moves. It makes for an excellent combination that can't be beat. That's what's great about American Ninja - it's high-quality action fun that seems to put pleasing the audience as its number one priority. Why can't more movies, especially today, do this one simple thing? Please the crowd! What's so wrong with that? Well, we're proud to announce American Ninja simply does just that. It's not uncommon when you watch it with people to hear yells of "Yeah! Awesome!" and the like. You've heard the title "American Ninja" so many times, for such a long time, you probably don't realize how good it is. You just have to watch it to see why it's withstood the test of time so well. Comeuppance Reviews fan-favorite Richard Norton appears in a short, small role - but in the credits he is only recognized for stunts. But if you watch carefully, you can spot him as a soldier in the film. For Fun with a capital F - go with this great classic that is deserving of its fame and status. I almost had the five of these movies in my hands but they got lost in the post! I will have to see about re-ordering them. Dudikoff is the man! I can't agree more! Dudikoff rules! Hope you can re-order the 5 flicks! This is indeed a true classic. Every time I watch this it brings a smile to me face. It's awesomeness that can't be described with words. It gets better every time you watch it! Dudikoff is Awesome! This movie is beyond a classic for me: It's permanently etched in my all-time Top 10. It’s a travesty that the DVD lacks special features. I would love to hear more about the behind the scenes goings on. Hey, did you know that one shot in the closing credits mentions there’s an American Ninja book? I just think it was Cannon PR fluff; I have never been able to find one copy of it. 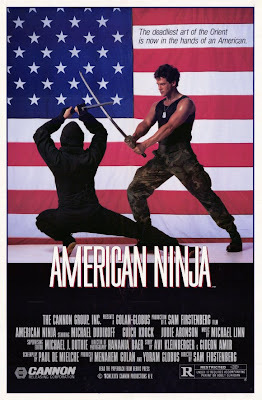 Interesting tidbit: Kurt McKinney (the lead in No Retreat, No Surrender) had auditioned for the lead in American Ninja, but was turned down due to his youth. In addition, he was offered a role in parts III and IV, but turned them down because his wife didn’t want him to travel to the shooting locations. As cool as David Bradley's martial arts moves were, he was more wooden than a fallen tree in the forest. Kurt would have been an AWESOME second American Ninja, and the fourth movie with both he and Dudikoff would have been tremendous! 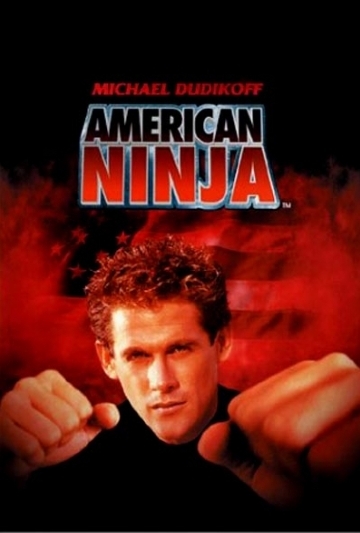 Supposedly, Dudikoff wants to do another American Ninja. To me, that would be on par with The Expendables franchise in terms of pure awesomeness. As an aside: I know I thanked you through Facebook, but you have no idea how much joy this website brings me. I LOVE these movies, and I appreciate that you take the time to dedicate sincere reviews of these. 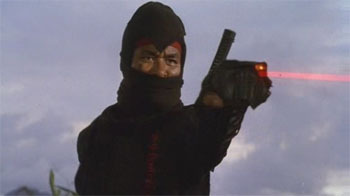 Totally agree, American Ninja is an 80s classic! Thanks for all the info, didn't know that about Kurt McKinney. Would love to see a new American Ninja movie with Dudikoff. That would be awesome...same with reading the book. You're very welcome. We love that you like the site so much.